I went to a small pond where i knew i could found some Green Frogs and sometimes Bullfrogs at this time of the year. In just a small part i found about 6 Green frogs and was able to get the portrait of this one posted here. Fuji X-E1, Sigma 180mm/5.6 APO Macro, tripod. This entry was posted on October 18, 2014 by Steeve Marcoux. 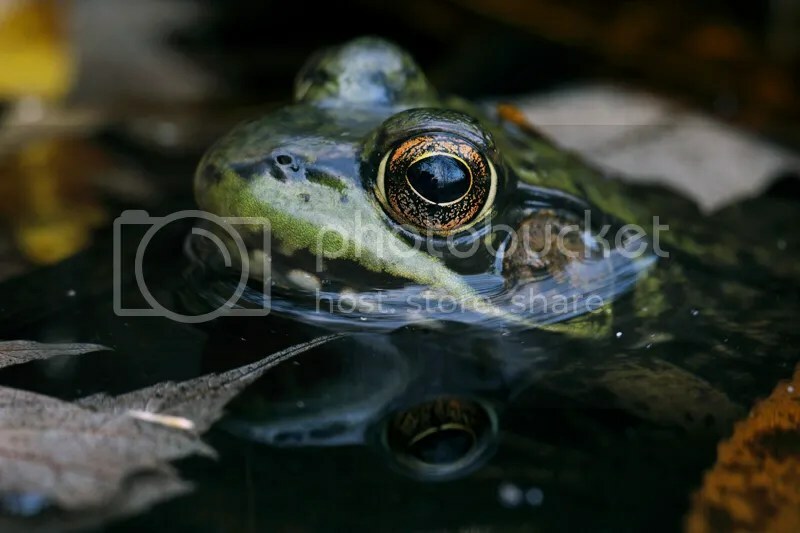 It was filed under Weekly photo and was tagged with Bullfrogs, fuji x-e1, green frog, green frogs, sigma 180mm macro.